The Corgi Shih Tzu mix is the party animal of dogdom. But what else do these adorable pups offer? Where are they from? What are they like? And what does a Corgi Shih Tzu mix offer you? 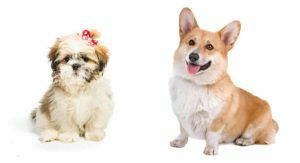 Where Does the Corgi Shih Tzu Mix Come From? Let’s take those questions (and more) one at a time. The Corgi Shih Tzu mix is a fairly new “designer dog” that has just recently been developed. As their … [Read more...] about Corgi Shih Tzu Mix: Would This Adorable Pup Suit You? Portuguese Water Dog Poodle Mix: Did You Know About This Ancient Hybrid? If it looks like a Poodle, walks like a Poodle, and barks like a Poodle, it must be one—unless it’s a Portuguese Water Dog Poodle mix. 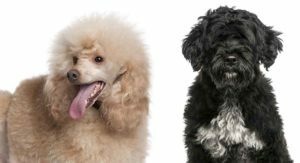 Two members of the same family (Poodles and Portuguese Water Dogs) split centuries ago. The Portuguese Water Dog Poodle mix combines the history, heritage and popular conceptions of these breeds. 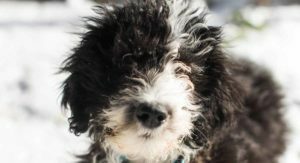 This takes us back to a type of dog that started it all in … [Read more...] about Portuguese Water Dog Poodle Mix: Did You Know About This Ancient Hybrid? Cane Corso Lab Mix: Would This Big Hybrid Suit Your Home? The Cane Corso Lab Mix stands proudly among the larger inhabitants of dogdom. 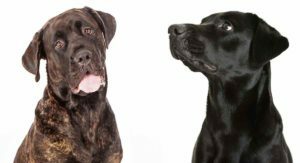 As an Italian Mastiff, a Cane Corso is among the most agile big dog breeds. They're also gentle and affectionate with proper care and love from their families. When combined with the loving Labrador, the results can range from solemnly interesting to wildly hilarious. Where did this large mix come from? What … [Read more...] about Cane Corso Lab Mix: Would This Big Hybrid Suit Your Home?